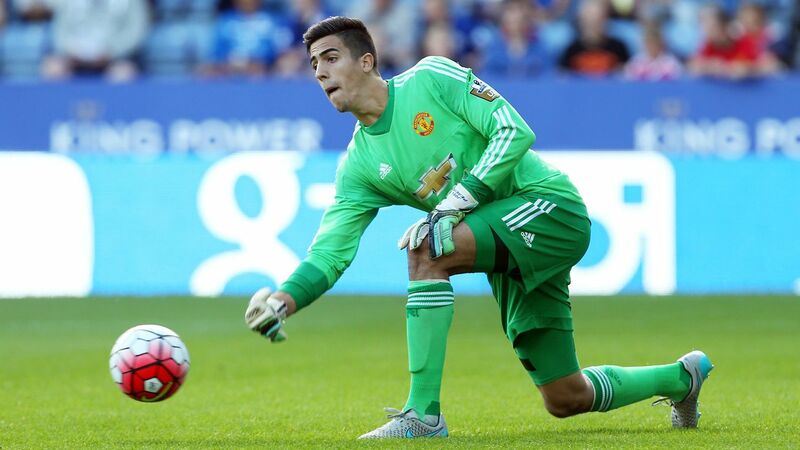 Manchester United goalkeeper Joel Pereira has said that he is ready to make his full first-team debut, and is eager to repay the faith shown in him by José Mourinho. The 20-year-old started his season on loan at Portuguese club Belenenses, yet was recalled earlier in the campaign, and made his United debut as a substitute against Wigan in the FA Cup. Now Pereira is ready to make his full first-team debut, and is expected to do exactly that on Sunday, as Mourinho plans to field an experimental side in the final Premier League game of the season against Crystal Palace. Pereira, who is tipped to be the best Portuguese goalkeeper of the next generation by Mourinho himself, told the club’s official website: “They’re nice words and now I need to prove that he’s right. When one of the best managers in the world puts confidence like that in you, you can only feel good. “I want to pay him back by training and performing well. I’m working hard every day and the next step is on Sunday, so let’s focus on that and we will see. “It’s a big day coming up for the young players. As the manager said, some of us will get a chance and we’re looking forward to it.